Seashore Paspalum has more commercial sod use than residential, but if you are experiencing serious salt issues this sod may be perfect for coastal central Florida locations around Tampa. Native Seashore Paspalum may not be considered the most aesthetically pleasing grass but we believe it’s one of the most adaptable to its environment. Whether saline or fresh water in nature, this sod is very salt tolerant. 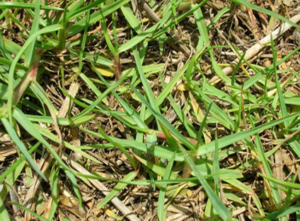 For those familiar with Paspalum Vagenatum we offer “salt grass”, as it is often called, in a sod form from one of the only farms growing it in the Tampa Bay area. Paspalum is in fact one of the most, if not the most, salt tolerant of all turf species. We also sell the Paspalum in a plug trays for your projects. 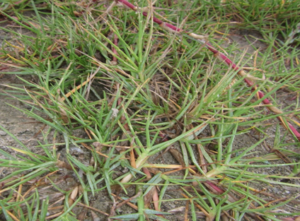 If you have a site calling for a halophytic or salt tolerant native or a ground cover for a harsh environment, Seashore Paspalum should be the grass to consider. Great sod for mitigation sites or bioremediation, land reclamation, dune stabilization, wetland sites, erosion control in a salt water laden area and beachfronts, to name a few. Paspalum is a great native Florida grass to use.